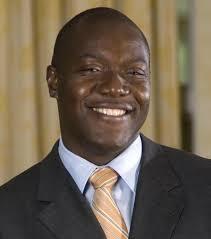 We acknowledge bobsledder, motivational speaker, author, and JOIHF Advisory Board member Devon Harris and his history with the Jamaica Bobsled Team. Devon was born and raised in Kingston, Jamaica, in the notorious Waterhouse section. He graduated from the prestigious Royal Military Academy Sandhurst in England, receiving a Queen’s Commission in 1985. He served in the officer corps of Jamaica Defence Force until 1992, retiring as a captain. Mr. Harris went on to become a member of the first Jamaican bobsled team which competed in the 1988 Olympic Games in Calgary, Canada. Other members of the squad were Dudley Stokes, Chris Stokes, Michael White, Freddy Powell and Caswell Allen. 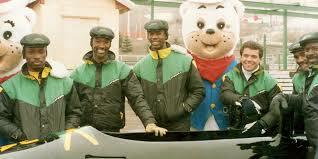 Their exploits inspired the Disney blockbuster film Cool Runnings. Devon also competed in, and was captain of, the 1992 Winter Olympic Games in Albertville, France and the 1998 Games in Nagano, Japan. The Jamaica Bobsled team has participated in 1988, 1992, 1998, 2014 and with steps to participate in the 2018 Winter Olympic. Mr. Harris has led efforts to “develop the next generation of bobsledders.” He has taken the lead of the national bobsled program after the 2014 Sochi Winter Olympics. The 2018 team hope to qualify and represent Jamaica with its largest team yet… two-man team, two-woman team, four-man team, and one male skeleton team. 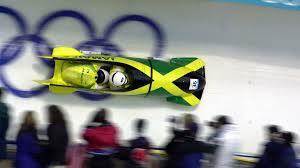 The two women team will be making history as Jamaica’s first women to compete in the Winter Olympics. The driver of the Jamaica two women team is Jazmine Fenlator-Victorian who was the former driver for the United States 2014 silver medalist two-woman team. Mr. Harris has authored a children’s motivation book, Yes I Can! And a semi-biographical motivational book, Keep on Pushing: Hot Lessons from Cool Runnings. Follow the progress of the 2018 Jamaica Bobsled Team on Twitter and Facebook… it does not matter how impossible it may seem, pursue your dreams.